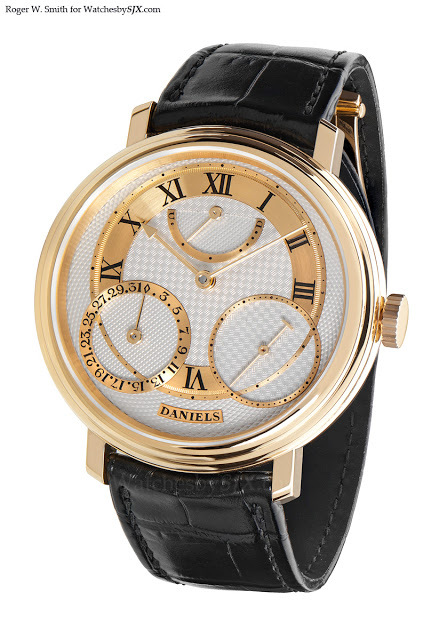 Roger W. Smith has just announced the delivery of the first Daniels 35th Anniversary wristwatch. 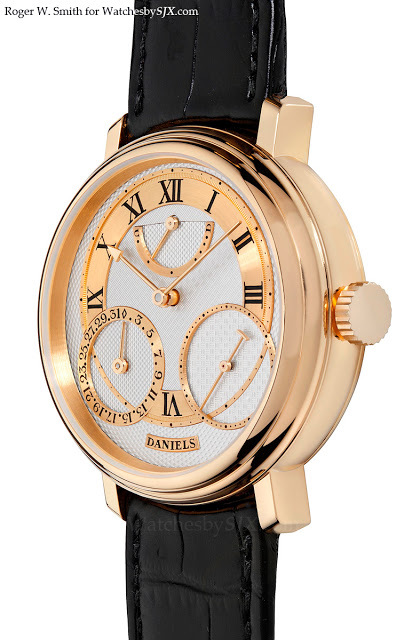 Though it bears the Daniels name, this watch is made by Roger Smith, George Daniels’ protege and the inheritor of his mantle. 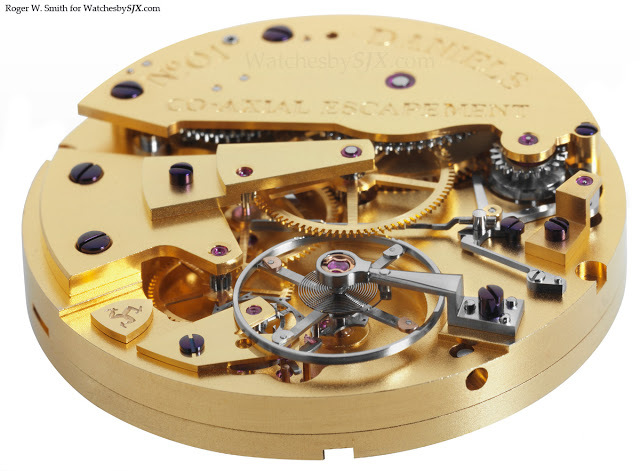 This series was first announced two years ago for the 35th anniversary of the co-axial escapement Daniels invented. A year after the passing of Dr Daniels – just three weeks after he approved Roger Smith’s prototype of the Anniversary watch – the first of a 35 piece limited edition is ready. True to the Daniels philosophy, nearly all parts are made by Roger Smith in his Isle of Man workshop. 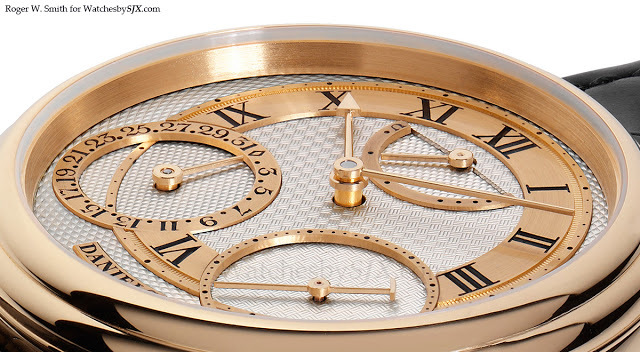 This wristwatch is in the traditional Daniels style with eccentric sub-dials and arrow hands, itself heavily inspired by Breguet. 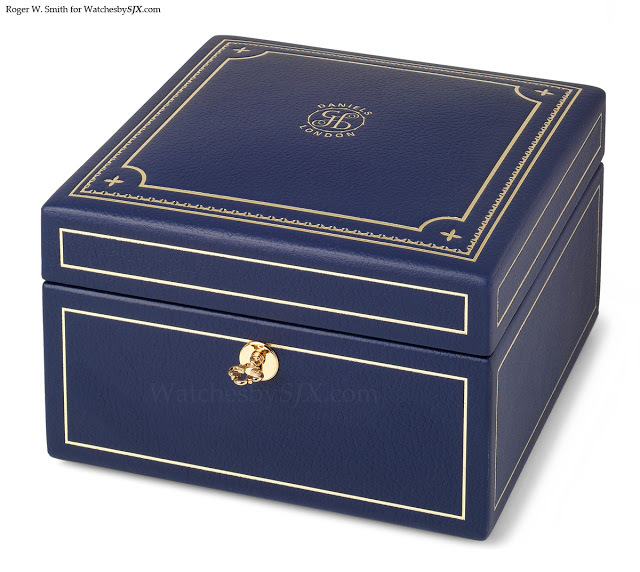 The case is 40 mm in yellow gold with a guilloche dial in solid silver and gold. 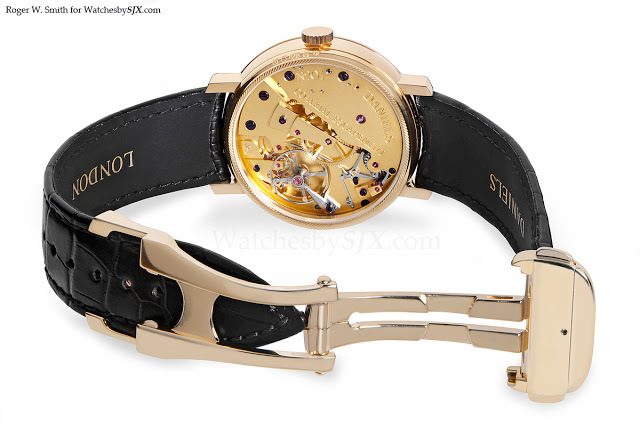 Aside from the time, the dial displays the date at eight o’clock as well as power reserve at 12. 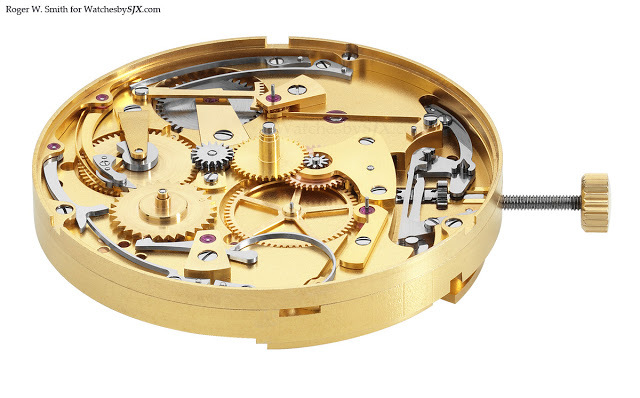 In addition to the co-axial escapement, the watch also has the Daniels Stop Start mechanism that disengages the mainspring after 36 hours to ensure stable torque since the power delivered by the mainspring as it reaches the end of its state of wind tends to drop off. 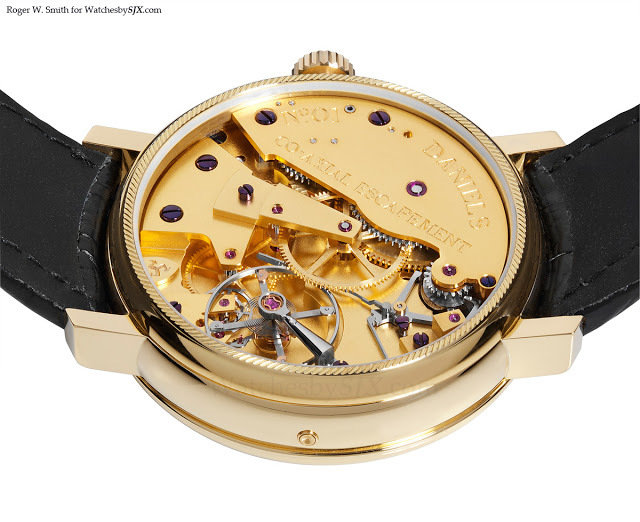 The movement looks like a vintage pocket watch. Each part looks massive and solid, while being beautifully finished. Though it has to be said historical pocket watches looked like that because manufacturing technology back then was crude. This is almost the visual opposite of fancy Swiss watchmaking.